SUBSCRIBE BY THE 25TH TO RECEIVE THIS MONTH'S BOX!! 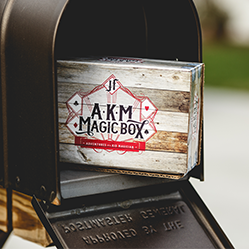 Whether you are interested in performing fun magic for your friends or you simply want to know the secrets behind some of magical secrets performed by professionals around the world, the Magic Box is the perfect subscription box for you. 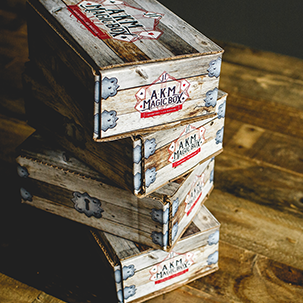 Not only will you learn magic each month, you will also be invited into a secret community of magicians via the Magic Box Blog. This is a great place to meet other magicians and brainstorm possible new ideas. Remember, you are free to cancel your subscription at any time! Order ASAP as we only allow a limited number of members and you will definitely want to be included in this month's box!